Head of the Mission of Ukraine to the EU Mykola Tochytskyi has said that new sanctions against the Russian Federation are needed for aggressive actions against Ukrainian ships in the Kerch Strait. 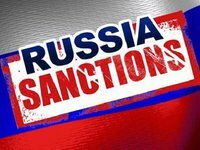 "We urge EU&member states resolutely react to Russia's blatant use of military force in #AzovSea… We need new sanctions agnst #Russia. We must stop Kremlin's war agnst Ukraine," he wrote in his Twitter microblog. Tochytskyi also called on High Representative of the European Union for Foreign Affairs and Security Policy Federica Mogherini to raise the issue about the situation in the Azov Sea and the Kerch Strait at a meeting of the Foreign Affairs Committee of the EU on Monday, November 26. The ambassador also said that Ukraine calls on the EU and member states that they should proceed with strong and harsh response to the use of military force by the Russian Federation in the Azov Sea.